Since 2015, we have been partnering with UNICEF Somalia to leverage interactive radio as a tool for remote monitoring and timely citizen feedback — helping to amplify the voices of widespread communities. Our initial eight-week pilot gathered SMS data on radio audience beliefs and practices related to polio and routine vaccinations, and maternal and neonatal and child health. Over 8,400 people participated by SMS from all provinces of Somalia: 44% were women, 86.4% were 15-29 years old and 54.9% were parents. Throughout 2016 and 2017 we expanded the health-themed interactive radio shows – responding and adapting to UNICEF’s priorities. Currently, we work with MediaINK to broadcast on 27 radio stations which cover 50% of territory across 60 districts in Somaliland, Puntland and South-Central Somalia, and potentially reach 70% of the population. Shows regularly attract over 6000 participants a week. Parents’ perceived risk of polio is the most important factor impacting vaccination uptake by children. Participants tend to associate reduced risk of polio with ideas of cleanliness – hygiene and spiritual. The word used for polio (‘dabayl’ which means wind in Somali) contributes to reinforcing the idea that polio is not a virus but a disease spread by the wind and possible to be cured spiritually. Further results of the radio audiences’ answers are presented in our online interactive dashboards and report. 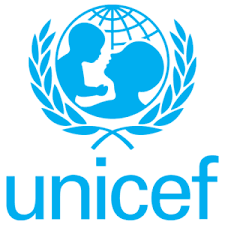 For an engaging and digestible insight into our partnership with UNICEF Somalia, open up this interactive page. "Using innovative techniques ... such as interactive radio shows to broadcast information and gather audience data, we managed to go beyond our regular programming."